Sky has blamed "weakness" in the TV ad market as its advertising revenues fell 3% in UK in the three months after Brexit. The pay-TV giant pointed the blame partly at rivals because ITV had the Uefa Euro 2016 finals and Channel 4 had the Paralympics, but insisted its ad revenue was "slightly better than the overall market". 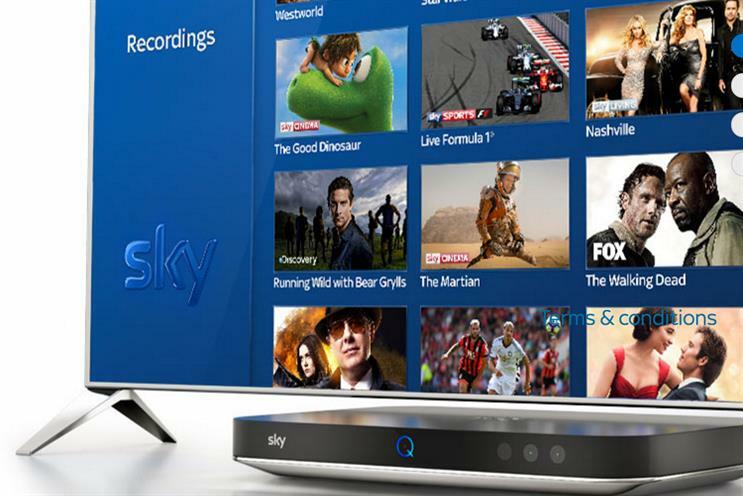 Sky’s ad sales team, Sky Media, went through upheaval over the summer when it moved from Victoria in central London to Sky’s headquarters in suburban Osterley in a cost-cutting move. By contrast, Sky’s operations in Italy and Germany enjoyed significant increases in ad revenue. Sky Deutschland’s ad revenues rose 25% year on year "due to the increased reach of our channels, a greater amount of inventory we can now offer advertisers and growing demand enabling us to increase our rates". Sky Italia’s ad revenues climbed 17%, including a positive contribution from its Uefa Euro 2016 coverage. Sky’s group performance remained strong with revenues up 5% on a like-for-like basis to £3.15bn in the three months to September 30. Sky added over 100,000 new customers across UK & Ireland, Deutschland and Italia, but it gave no breakdown for the UK, fuelling speculation that its TV subscriber numbers are under pressure from Netflix and other cheaper, over-the-top providers. Ian Whittaker, analyst at Liberum Capital, said he has "some questions" about Sky’s explanation that the Olympics hit new subscriber uptake. "We question whether this slowdown in UK & Ireland subscriber growth is due to the Olympics or is really a sign of much tougher competition," he said. "In fairness to Sky, management did state on the call [with investors] that September had seen increased momentum [after the Olympics]."